Posted on 20, July 2016 by EuropaWire PR Editors | This entry was posted in Awards, Education, United Kingdom and tagged chemist, Professor Duncan Bruce, Professor John Goodby, Royal Medal of the Royal Society, University of York. Bookmark the permalink. YORK, 20-Jul-2016 — /EuropaWire/ — A University of York chemist, whose research has made important contributions to the development of flat-screen displays for TVs, computers and mobile phones, has been awarded a prestigious Royal Medal of the Royal Society. Professor John Goodby, who holds a Chair in Materials Chemistry and is a Fellow of the Royal Society (FRS), is awarded the interdisciplinary medal in recognition of advances and discoveries of new forms of scientific matter and materials. Professor Goodby studied for his doctorate in liquid crystals at the University of Hull before moving to the world-renowned AT&T Bell Laboratories in 1979, where he became Supervisor of the Liquid Crystal Materials Group. After nearly ten years in the USA, he moved back to the UK and became Head of the Liquid Crystals and Advanced Organic Materials Group, and subsequently Head of the School of Chemistry at the University of Hull. He is now Emeritus Professor of Materials Chemistry at York, where his research is focused on nano-structural engineering of materials through directed self-organization and self-assembly for applications in liquid crystal displays. Professor Goodby said: “I am overwhelmed to receive the award of the Royal Medal of the Royal Society. 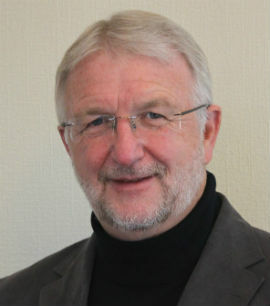 Professor Goodby was elected a Fellow of the Royal Society in 2011 and in 2013 he was awarded the Derek Birchall Medal of the Royal Society of Chemistry for creativity and excellence in materials chemistry for Industry. In 2014, he won the AkzoNobel UK Science Award for outstanding contributions in self-assembling and self-organizing materials.